BW Legal have now started to discontinue claims. Their original business model has been to go to court without doing any due diligence, resulting in the vast majority of parking claims they issue being bogus and having no proper legal basis for the claim. 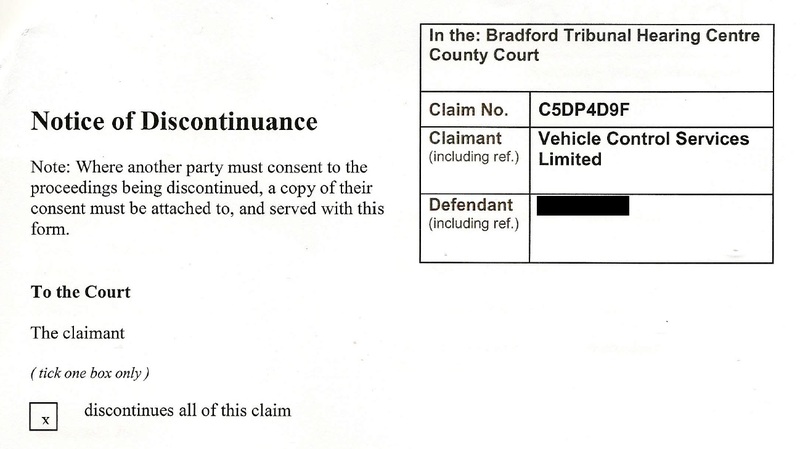 Luckily for them, most motorists are very scared of the word 'Court' and so paid their inflated claims. When a case does go ahead, if they bother to comply with court deadlines at all, they serve up template witness statements that do not address the issues and are, in the Prankster's opinion, mostly bilge and tosh. 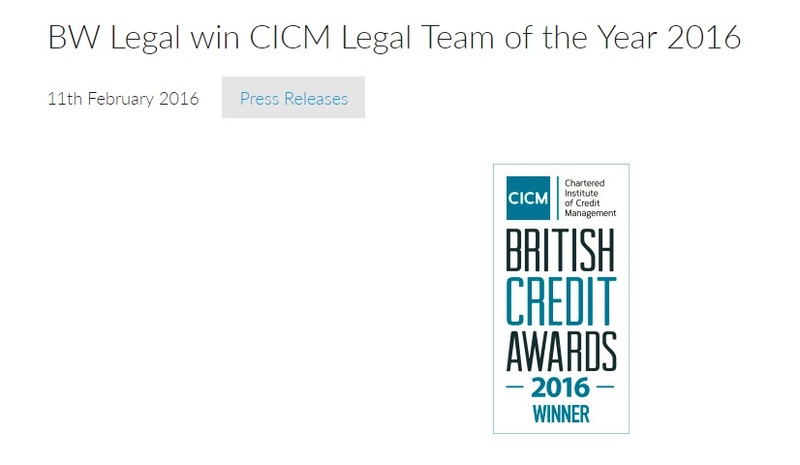 This creative approach to saving costs led to them being awarded CICM Legal team of the Year 2016. The tactic has now started to backfire as more and more motorists become aware of the legal issues around parking. As around 85% of private parking charges are not valid*, motorists not only have a good chance of winning any claim against them, but are also waking up to the fact that if a parking charge is not valid, then there is a possibility that their data was not obtained properly from the DVLA and they might therefore have a counterclaim in the region of £250-£750. In the latest case to be discontinued, The Prankster has been assisting a keeper whose vehicle was charged for briefly stopping at Liverpool Business Park. The keeper was not the driver and has already informed BW Legal of the same. The case of VCS v Phillip C9DP2D6C has already established that a charge on this site for stopping is not valid, and that a claim for a data protection breach in the region of £250 might be awarded. 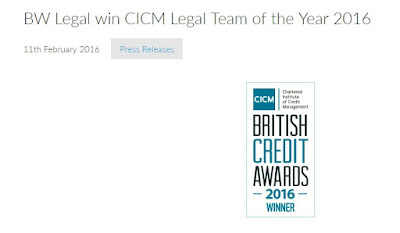 BW Legal filed a claim which was robustly defenced. As the hearing approached, the motorist received a letter from BW Legal, telling him he had one final chance to pay a reduced amount by set date. He ignored the option and today received a letter saying they are not going to pursue the claim. It seems BW Legal are now being more discriminatory and picking and choosing which cases go to a hearing. Every case which goes to a hearing is effectively a loss-leader for them, as the cost of sending a lawyer to a hearing far outweighs the return, even if they win the claim. If they lose, then the defendant's costs also need to be paid. This is why people should counterclaim for DPA breach and distress when there was clearly no reasonable cause to obtain the defendant's personal information. The counterclaim strategy makes a lot of sense to me, especially given that there is a fair chance to win by default if the original claim is dropped and the Claimant no-shows. What are the risks/liabilities in losing a counter claim? I'm guessing £25 to file the counterclaim. Anything else? £25 filing fee. £25 hearing fee. Their costs if you lose under practice direction 27.14 (limited mostly to travel, which is not usually appropriate). Could a person who receives a parking charge notice letter issue a claim straight away? Not waiting until the claimant - VCS or BW Legal - do or do not file a claim. Secondly does the claim state £250 or £750 or does the judge decide the amount? obviously if one was going to claim you would do it for £750.